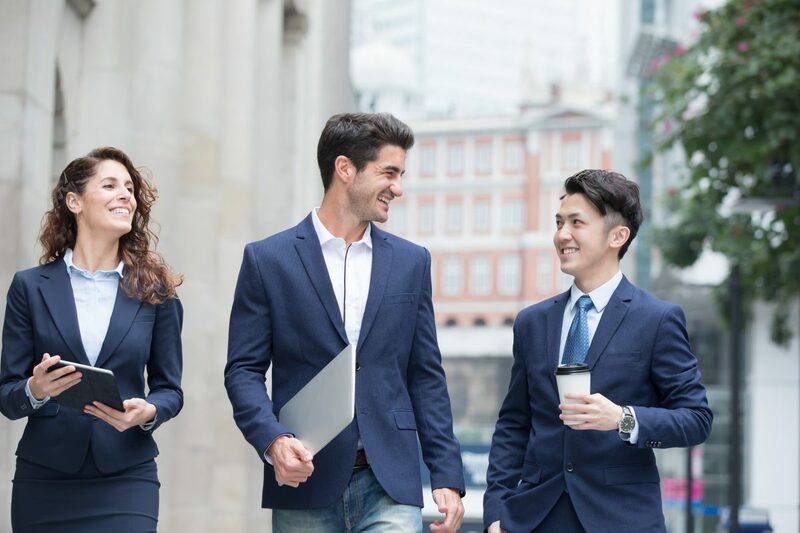 For many people their role, salary and company culture are not the only factors to think about when considering a job or career move, the benefits package and additional so called ‘perks’ that come with the job are becoming as important. Candidates more and more are tending to favour the employer that provide great and relevant employee benefits. The benefits package can therefore set your company apart when it comes to attracting top talent and retaining the best staff. This is supported by recent research commissioned by VideoDoc, the leading online doctor, where it was revealed that 65% of those surveyed said that if offered free online GP cover, it would influence their decision to work with one company over another. If you want your company to retain and attract that talent, and the aim is to achieve a more engaged, healthier, happier workforce, they need to know about the benefits that are available. Therefore finding the most effective channels within your organisation to communicate this is as important as offering the benefits package in the first place. So how do you achieve this? Firstly, because people respond differently to various communication styles, it is sensible to gain insight into the people in your own organisation and how they best engage with company information. Start by creating a written strategy for employee benefits communications including objectives, goals and employee needs by audience group. Once this is written, you will need to look at established communications channels within your organisation and compare which one meets the different audience groups requirements. Several approaches that reinforce each other is most likely to get results. Create a special section on the company’s internal website for HR related matters, that perhaps provides information about bank holiday days, entitlements and leave request forms all with the aim to drive traffic to the page. Here you can also promote and highlight different benefits the company offers. Include information on the benefit scheme on the internal newsletter or e-zine with a link taking the employee directly to the information or sign-up page. Adding incentives to the communication and call to action can be effective and increase the open rates of company update emails and newsletters. Think about the content that is important or interesting to the workforce and tailor the topics to this. People are busy, but they have time for something interesting or relevant. Wrkit clients have free access to see a GP online with VideoDoc, this can be found within the Wrkit Lifestyle Savings module. How NEAT is your workforce? As obesity and related disease increases globally, so too do the associated costs incurred by employers and governments. When it comes to exercise and activity the Department of Health and Human Services recommends that adults get 150 minutes of moderate aerobic activity or 75 minutes of vigorous aerobic activity per week. For many employees however, it is difficult to meet this recommendation. Increasingly employer organisations are implementing wellness initiatives designed to help tackle the obesity epidemic which allow employees to incorporate exercise into their working day – reduced gym membership, complimentary exercise classes, corporate exercise challenges etc. There are big business benefits associated with having a fit workforce but what about a NEAT workforce? Non-exercise activity thermogenesis (NEAT) is the energy expenditure of all physical activities other than those done with the specific intention of developing or maintain fitness. Movement of some level is a necessity for everyone, however a sedentary lifestyle mean adults of similar sizes can have markedly variable NEAT levels – up to 2,000 calories per day. Make company-wide ‘appointments to move’ – Sitting for extended periods of time can increase the risk of diabetes, heart disease, cancer, and obesity. Encourage on the hour ‘walk abouts’. Invest in company pedometers – a lot of your team might already have these built into their mobile phones but providing company sponsored pedometers means you can set team targets and daily goals. Use the stairs – use posters and other communication channels to get people choosing the stairs. Meetings on foot – walking and standing meetings are becoming increasingly common. If there is an option to get people moving in their own meetings encourage that behaviour. Make sitting a strength – invest in some stability balls, these are great to help build core strength and burn calories. Offer standing desks – a few standing hot desks dotted throughout the office space will give people the option for a real change of scenery and will help improve their NEAT. POWR Life – Keeping your employees performing at their best.